Right from payments to marketing we, at PayUmoney, guide businesses with curated trends, tips, tricks and suggestions to grow. We love when other experts find value in our content and volunteer to share their experience and knowledge with us. Praveen Dorna is one such expert who, excels profoundly in building startup ecosystems in India and much more. 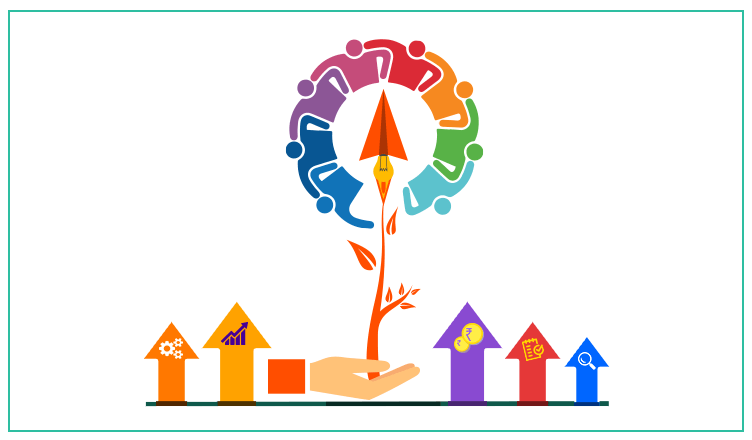 In his debut guest post on PayUmoney blog, Praveen draws closure on how community marketing done rightly can help buisnesses, especially startups, grow effortlessly in a short time span. Let’s hear it from the master himself! From Praveen’s trunk of expertise…. Are you a startup owner? Then you would agree with us on: building startups is no cakewalk. 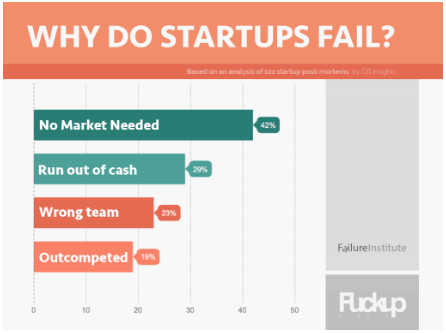 In fact, the bitter fact is, more than 90% of the startups fail! Community marketing can be a savior here, but first, let’s zero down on a reason behind this failure. The transition from reason 1 to 2 is painful because realizing that the product you built so beautifully is not actually needed in the market firstly! It is never too late to turn the tables around if you really believe in your product or service. Let’s get a deep look at how community marketing can help in leveraging the growth of your startup. Mitigating the risk of failure calls for co-creating your product with your customer! However, building customers alongside could be challenging as there are a lot of internal biases that cloud the founders’ judgment. So how do we get there? How can each startup have a community that supports them along the journey and ends up being customers? 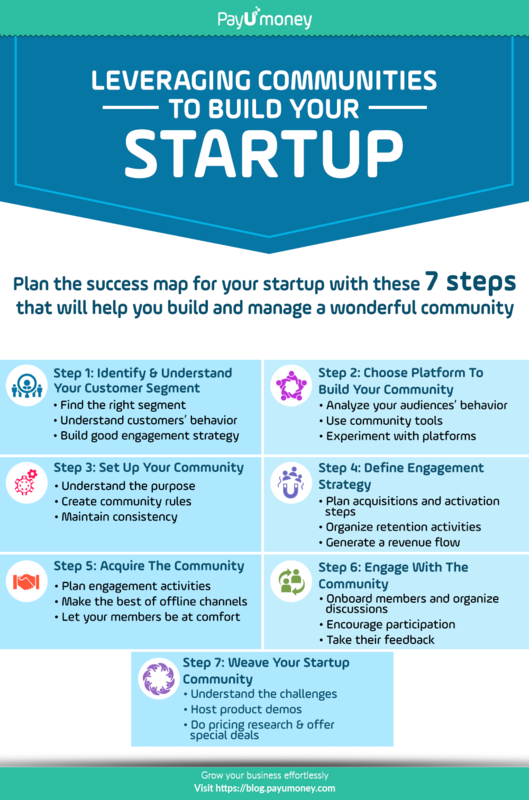 Here are the 7 community marketing steps that will help you build and manage a wonderful community. Let’s get started. Verbatim: ‘Community’ is a homogenous set of people with similar interests. It is very important to identify the relevant community that can add value to your startup. Firstly, define and identify your customer segment that your startup is targeting. Picking the wrong segment or allowing everyone into the community might dilute the purpose of community marketing. Understanding the customer is a key part of this exercise. It will help you to define a good engagement strategy. In the long run, making your customers feel involved in the community that you are building. Once you know your customer segment, it’s time to pick the right platform to run your community. These platforms can range from WhatsApp, Facebook groups, LinkedIn groups to Slack, Disqus, Ning, Meetup.com, startupbyte.com. The key here is to understand what kind of platform your customers are most active on so that you can reach out to them easily and make the best of community marketing. Pro-tip: It’s a good practice to analyze various platform to see on how you can scale the community for future purposes and pick the right tool. Assume that you are in the early stage of your startup and you are interested in building a community to co-create your product. The thumb rule to onboard any new customer is to streamline the onboarding flow and create a set of rules. Make sure that every community member receives the same kind of experience and treatment. It is important that anyone coming onboard is clear of the purpose so that there is no misalignment in expectations. Before kicking off the operations it’s important to build a solid engagement strategy. What is an ‘Engagement Strategy’? It is a detailed guide that you, your team or the moderators will use as a reference to continually engage with the community. This helps in keeping the experience of the community kept intact as you scale. how will you keep the pregnant mothers actively involved with you? Now that you are half way there, start acquiring the community. Align them on the purpose of the community and allow them to have a sense of belongingness. This will help the community members feel better involved. Simple things such as introducing the community members on an ongoing basis goes a long way! Pro tip: If you see some of the members evolving as community marketing leaders who want to contribute in the development, do not hesitate to ask them to take ownership of some of the engagement activities. This might lead to turning down a few members but that’s the right to maintain the sanity of the group. It is very important that in the first few months, the community should be relatively slower in growth and should feel tight-knit. This helps in establishing a wonderful culture for the rest of the community to follow. Onboard Members: Get in touch with the members joining the community, get their profiles updated, ask them to introduce in the group, and understand their needs better. Stimulate Discussions: Share 2-3 posts every day (on your social media channels) in order to help the community with relevant information. Ask questions and understand their problems. Share about your product from time to time, take their feedback and show progress. Encourage Participation: Invite members to post their thoughts, challenges, knowledge resources, expertise etc. so that members start feeling comfortable about participating in the group. 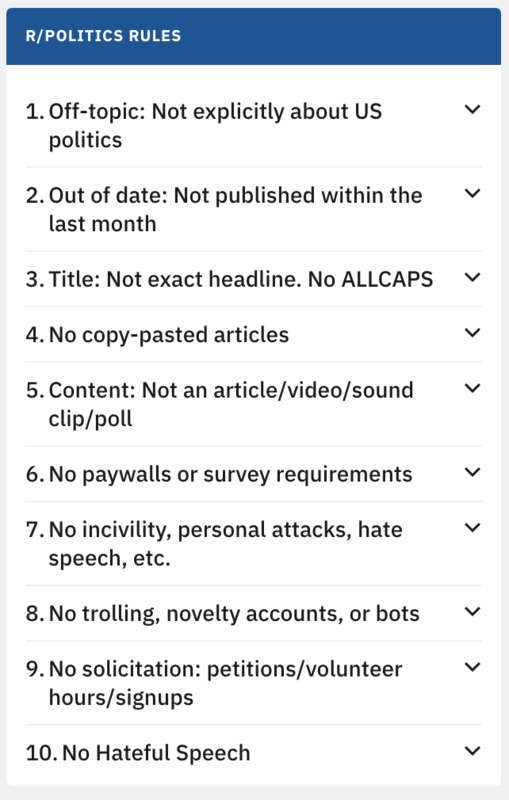 It is important to moderate the posts so that they don’t become pure marketing channels with irrelevant info. Engagement Activities: Plan and execute various online and offline activities. These can include online AMA (ask me anything sessions), webinars, mini-meetups, product demos etc. Offline events, both professional and social in nature to keeps the community engaged and enhance the bonding among community members. Take Feedback: Ask your members for feedback from time to time and use metrics to measure engagement to understand the health of the community. It’s important to act on feedback so that the community feels that their opinion matters. The key element that you need to understand is that the community now trusts ‘you’ more than the product. Hence, they will be more supportive and responsive to you in the journey of building your startup. a) Be adamant and keep asking questions to keep the community buzzing, lively and interactive. a) Using the community as a source of feedback. b) Illustrating product demos with those who are interested to give feedback. c) Also, plan for offline meetups to source feedback over a coffee/brunch. d) Lastly, ask for help in the community networks wherever you are stuck. b) Ask for references who can assist you to get your startup to acquire the initial traction and revenues. Read our blog on 7 Quick Steps On Product Pricing. By this stage, your community will be decent sized. a) Build a lot of community leaders across locations that you are targeting, so that they start working towards building micro-communities for you. b) ProductHunt, GrowthHackers, Xiaomi and OnePlus are some of the great examples of leveraging powerful community marketing. These 7 steps should help you understand how to go about leveraging the power of communities and community marketing for your startup journey. The effort will be totally worth it if done well! A special note, it is always recommended to do deeper research to reap bigger benefits. With all your marketing efforts for your business in place, it’s a good idea to have an all-in-one payment solution in place as well. Choose the best payment gateway and grow your business effortlessly! Co-Founder, StartupByte, is currently building a social network for bringing startup communities together onto one single platform. He has over 10 years of work experience with Startups, Franchisees, SMB’s, travel, education, robotics, media and ERP technologies in tech and managerial roles in US and India.